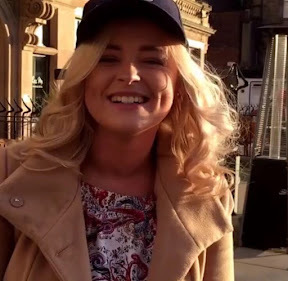 Scots X Factor contestant Caitlyn Vanbeck has been compared by Simon Cowell to US hit maker Kelly Clarkson. In scenes just a few hours away in tonight's X Factor, Caitlyn, 18, from Tranent, outside Edinburgh will wow the X Factor judges with a rendition of Piece By Piece by Kelly Clarkson. She even manages to make Nicole Scherzinger cry as she tells how she was bullied in her early life. An emotional Caitlyn said: "Bullies didn't take to my singing." audition how he met a young American 15 years ago who later became one of the biggest selling artists on the planet. "That singer was Kelly Clarkson." Grinning, he told her: "You are the best singer we've heard this season." Caitlyn, who won Edinburgh's Got Talent several years ago, got past boot camp and reached the six chair challenge in last year's competition but wasn't given much airtime. This year the hope is that she'll be getting a lot more and with all of Scotland behind her that looks like a distinct probability.